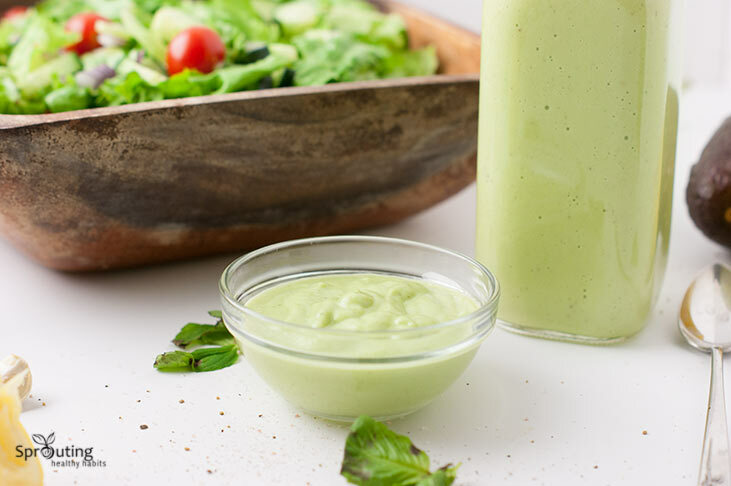 If you are looking for some ideas for delicious salad dressings then you have come to the right place! 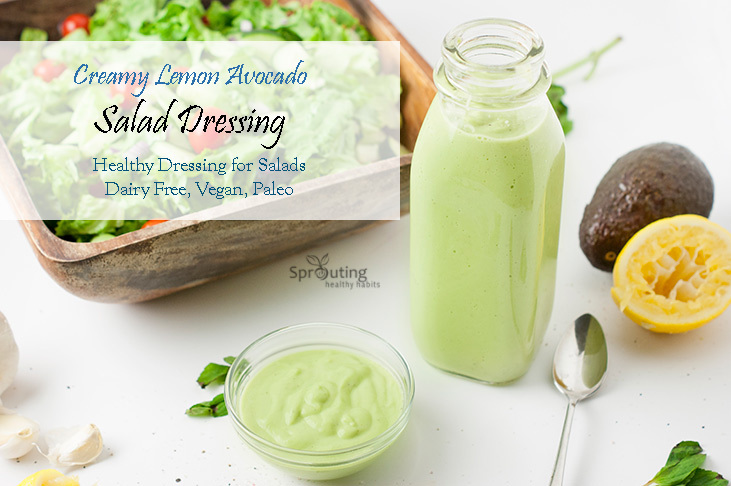 This is a creamy and extremely tasty dressing for many different types of salads or “bowls”. 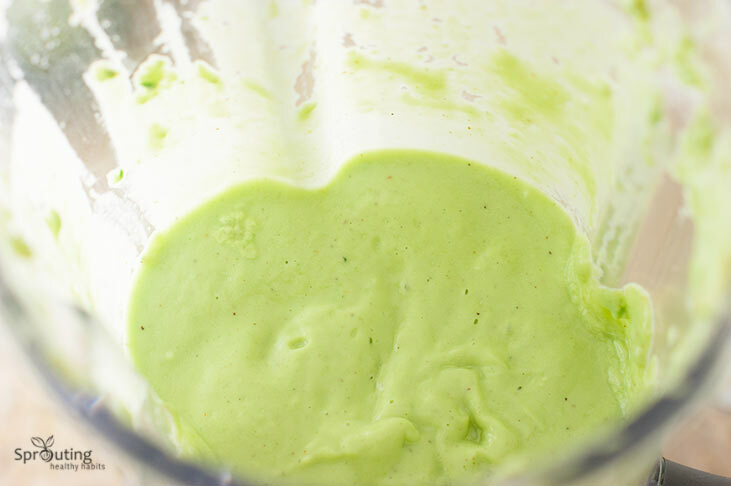 It takes only minutes to make and can last in the fridge for a couple days when stored properly. I know many people who avoid making salads often because they get bored with the same salad, or dressing. Combinations, experiments and ideas are endless when it comes to salads it’s just a matter of having a little imagination and testing things out. Salads can be so healthy for you as long as they are filled with healthy ingredients (because there are unhealthy salads too). Who said healthy salads have to be boring? Not me! 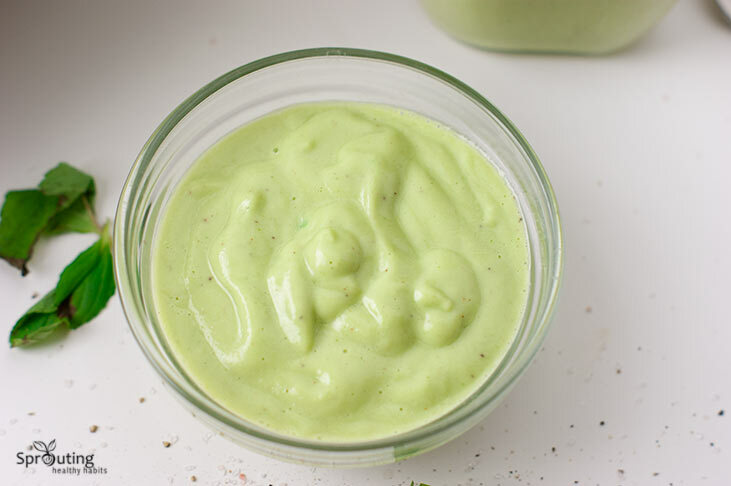 I tend to avoid buying pre-made salad dressings since either they are loaded with sugar, and other junk to “preserve” them (fresh is always better) or the good ones can be pricy. 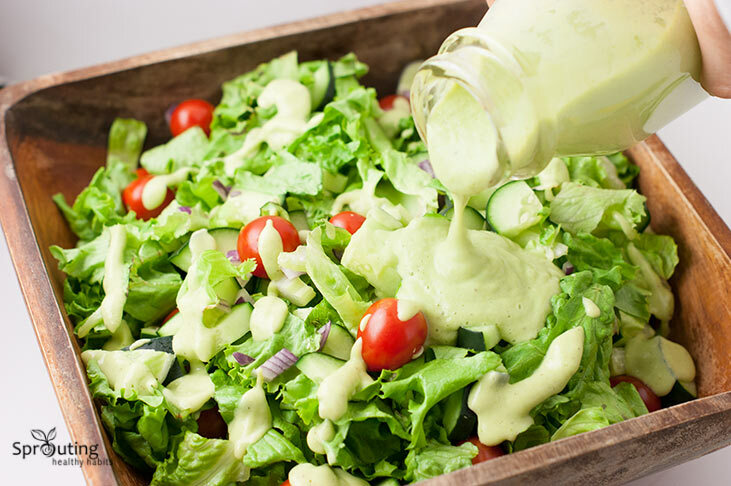 But if you wish to go an easier route again, there are healthy premade dressings at many stores. It stores great in a glass bottle for 2-3 days in the fridge. This may even make a great vegetable dip! 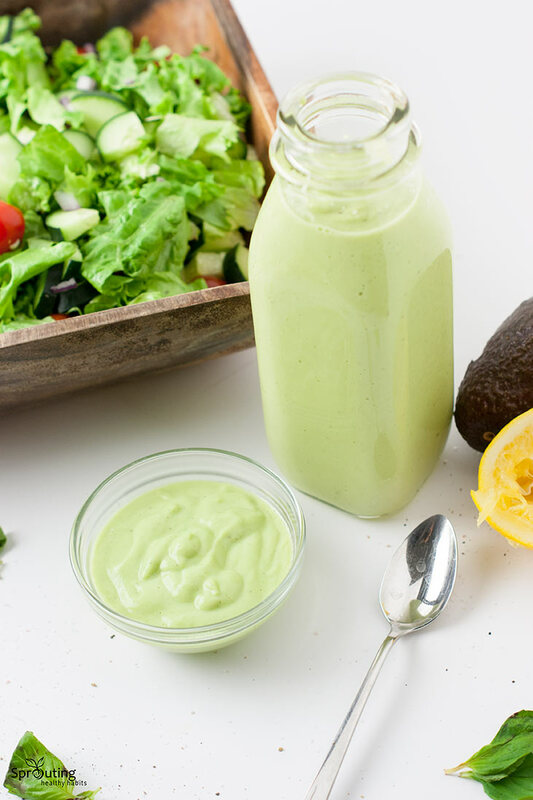 Delicious Creamy Avocado Dressing adds excitement to any salad. 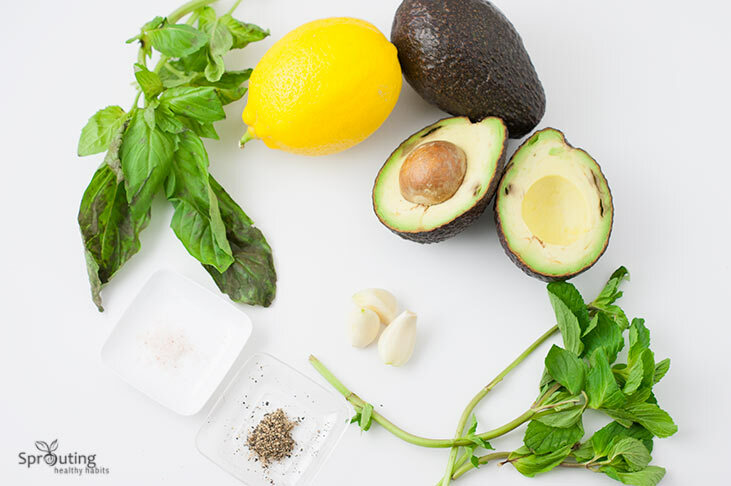 Made with Avocados, Lemon, Garlic, Basil, Mint, Salt and Pepper. 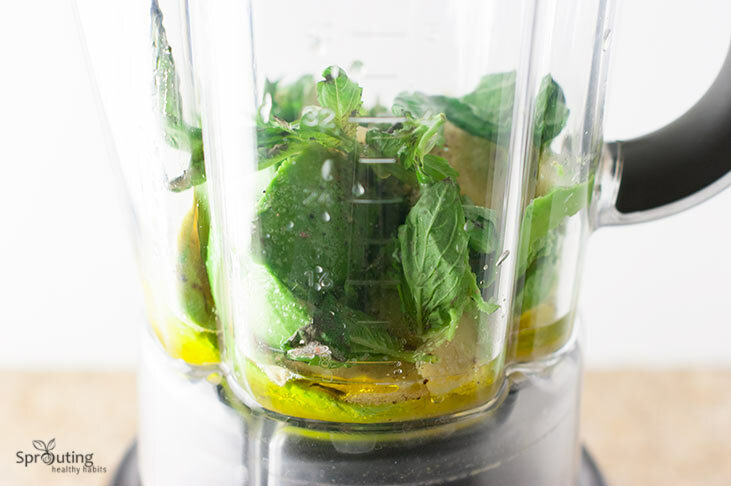 Hope you enjoy this delicious recipe! Be sure to subscribe below for more healthy recipes and natural ways of living. Looks delicious! Pinned to try it! Thank you Mira! Hope you enjoy!